There's no doubt that Indonesian born prodigy Joey Alexander is the current wunderkind of jazz piano. And there's nothing gimmicky about it. He is thirteen years old and he plays straight ahead swinging jazz like someone three times his age. It's a joy to hear because it's all real---no sideshow antics here. Among three originals on the album, check out the lilting "Sunday Waltz". Pretty, melodic ideas meet a touch of gospel. 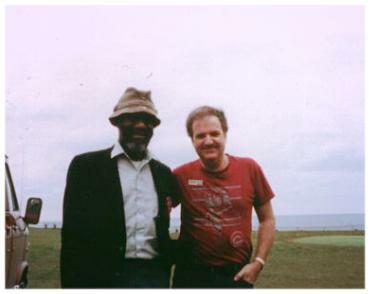 Or, you might like to check him out on Monk's tricky classic "Criss Cross". Kids are simply not supposed to tackle such things, but Alexander nails it. Then there's the wisdom of Billy Strayhorn's "Chelsea Bridge". It's just about perfect. He's equally impressive on "Smile", "Countdown", and "Maiden Voyage", among others. Incidentally, saxophonist Chris Potter is a guest on the latter tune. Alexander and his two trios stand out on all additional tracks. One can hear influences of Ahmad Jamal, Oscar Peterson and other giants here. 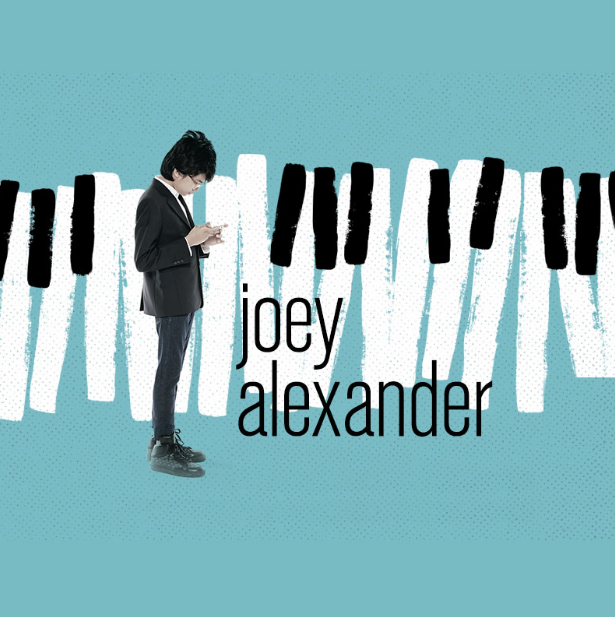 Is Joey Alexander a savant? Probably. But it's a sure thing that at a tender age he's a fully mature jazz pianist. Motéma Music; 2016; appx. 63 min. Rebecca Kilgore "This & That"
Other singers could take a lesson from Rebecca Kilgore: It's simple: just sing the song. No drama if you please. Nothing extraneous, no schmaltz, frosting, overkill, cutesiness---call it what you want. But you'll never hear it from Rebecca. What you will hear is a honey-like voice interpreting songs both well known and "not so", with love and caring in every perfect note. 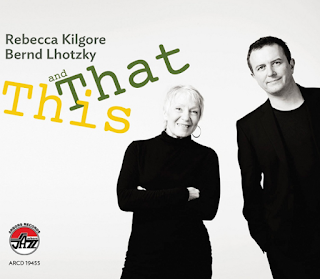 Her new CD finds her in duo setting with German pianist Bernd Lhotzky. 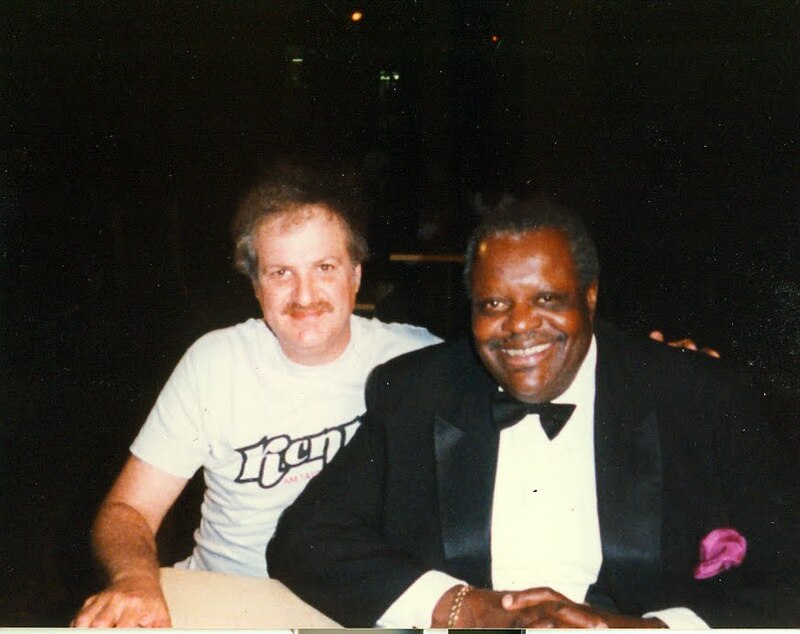 He is a schooled classical player who some years back pursued an interest in the stride style of Fats Waller and others. Their meeting was a stunning example of rare communication among like minded musicians. Every tune is a gem, but a handful deserve special mention. Interestingly, there are four Billy Strayhorn compositions included. I can never get enough Strayhorn, so I was delighted to encounter "A Flower Is A Lovesome Thing", "Grievin'", "Star Crossed Lovers", and perhaps my personal fave, "Lotus Blossom". Also enriching this session are three Gershwin delights: "Who Cares? ", "By Strauss", and "Do-Do-Do". How much fun is that?! Among a total of fifteen selections you'll also be treated to "Pick Yourself Up", "Baltimore Oriole", "The Best Thing For You" and lots more. This is at once an exercise in joy, intimacy, sincerity and above all, musical excellence. Arbors; 2016; appx. 50 min. 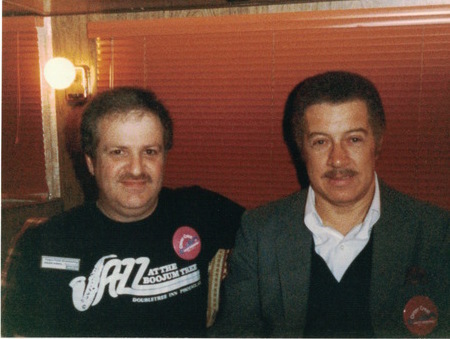 Mike Freeman is a superb Latin style vibist who is maintaining a tradition made famous by the great Cal Tjader. This CD is comprised of ten of Freeman's strongly melodic Latin excursions. They are played by a quintet of sympathetic cats who obviously love bringing these joyous Latin rhythms to life. VOF Recordings; 2015; appx. 58 min. Roxy Coss is one of those take no prisoners tenor players with a big, confident sound. On this sextet session she presents ten original compositions which display a very confident sound in a variety of textures. The trumpet player on the date is Jeremy Pelt. While he doesn't steal Coss's thunder he clearly shows why he's captured the pulse of much of the jazz public. Origin Records; 2016; appx. 60 min. This high spirited session is under Ramirez's name but the bulk of the solo activity is turned over to Warren Wolf on vibes and Howard Wiley on saxophones. The septet takes on rarely done material from such bright lights as Bobby Hutcherson, Bobby Watson, Wayne Shorter, Herbie Hancock, Kenny Garrett and more. High energy and "good vibes" throughout. First Orbit Sounds; 2015; times not indicated. This is a beautifully balanced album by Freddie Hendrix, a trumpet and flugelhorn player blessed with great gifts. If straight ahead, well written originals, gorgeous renditions of standards like "You Don't Know What Love Is", "Invitation", and "Peace" still mean anything in the jazz pantheon, look for Freddie Hendrix to go places fast! His arrangements for this compelling septet are right down the center of the jazz highway. We have to be grateful that players like Freddie Hendrix come along once in a while. Sunnyside Communications; 2015; appx. 59 min. Brazilian music, I've always thought, is all grown up. Never flashy or excessive, even at fast tempos, it's consistently warm, winsome and winning. And so it is with Mr. Dias Gomes, who produced a beautiful, unforced sound throughout this album. There's often rare delight and tenderness in Brazilian melodies. And there's an abundance of it here. Self-produced; probably 2016; appx. 50 min. A partial roster of former Rob McConnell big band cats dot the list of accompanists for singer Susie Arioli who takes full advantage of the opportunity. 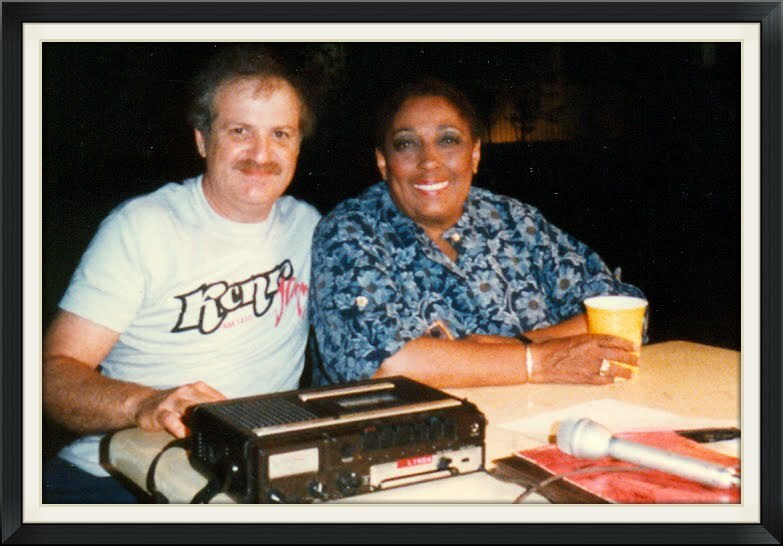 Among her well chosen tunes are two from the Billie Holiday book, "Me, Myself and I" and "Travelin' Light", and a Jimmy Rushing standby called "Evenin'". On these and more, including a few well written originals, Arioli displays an intimacy and vocal quality well suited to her material. Spectra Musique; 2015; times not indicated. 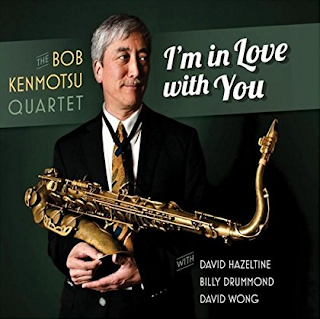 The Bob Kenmotsu Quartet "I'm In Love With You"
OK, so your name is Bob Kenmotsu and you play tenor sax straight down the middle of swing-bop boulevard. But how are you going to impress a jazz reviewer in Portland, Oregon, one who has never heard of you? 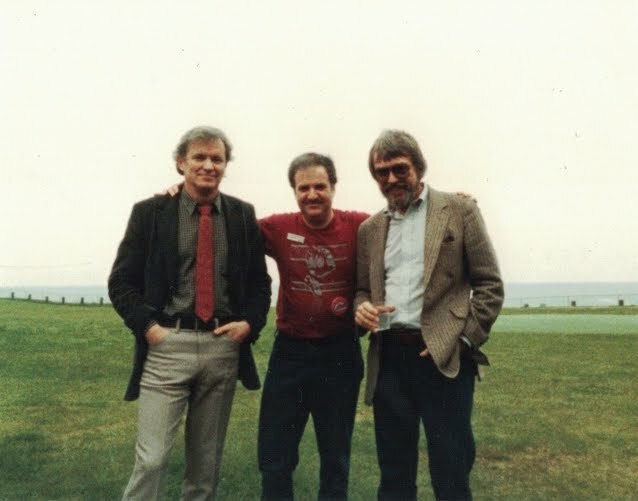 Just hire David Hazeltine, piano; David Wong, bass; and Billy Drummond, drums for your rhythm section. That'll get the guy's attention before he even pops the disc into the player. Well, it worked on me. Kenmotsu's eleven tune session is primarily original tunes. As any loyal bopper is likely to do he writes new changes on old standards here and there. For instance, "What Is This Thing Called Love" becomes "What Is This" and "Like Someone In Love" is "I Like Someone". Other originals of note include the medium tempo "BK Blues" and a wistful ballad "Sachan's Lullaby". The set closes with two standards: "Monk's Dream" is played a bit friskier than usual, and George and Ira's classic "But Not For Me" is a splendid closer. Kenmotsu's tenor is right out of the tradition. Never a note of excess and always in impeccable taste. The same should be said of his celebrated rhythm section. Yeah, I was definitely impressed! John Hart "Exit From Brooklyn"
I could be way off base, but I associate the name John Hart with a much more contemporary setting than the straight ahead sound heard here. Hart's trio includes Bill Moring on bass and Tim Horner on drums. The guitarist offers up a set of tunes which for the most part emphasize jazz classics and standards. For example, the opener is a faster than usual "Here's That Rainy Day". Other evergreens include some fancy simple note dexterity on "April In Paris" and an intriguing reharmonization on "Just Friends". Toss in "Where Or When" and you have some winners from the Real Book. But that's not all. 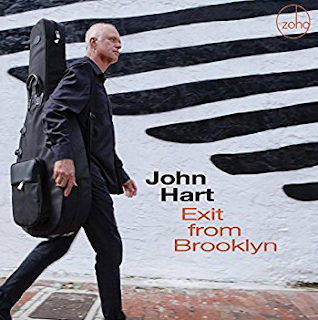 Hart and friends also dip into the Monk bag with excellent results on "Ask Me Now" and the rarely heard "Jackie-ing". The Ellington-Strayhorn delicacy "The Star-Crossed Lovers" is given an appropriately tender reading, and a couple of Hart originals complete the album. Hart keeps everything nicely and repectfully under control. He lets the music speak for itself and never puts too many ingredients in the recipe. There are many groovy mainstream things happening here. Zoho Music; 2016; appx. 58 min. Nancy Harms "Ellington At Night"
In my world there's always room to be re-acquainted with the brilliance of a master, namely Edward Kennedy Ellington. 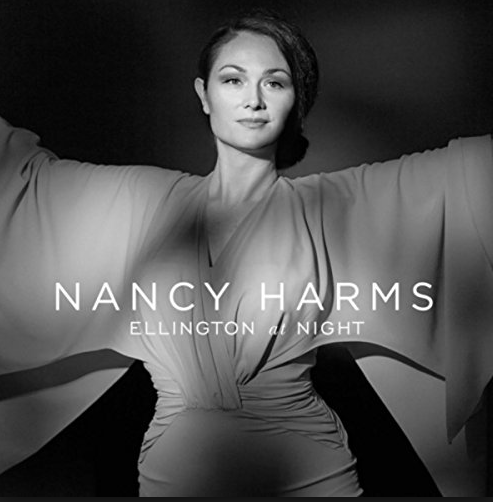 Singer Nancy Harms is a new name to me, but she makes this Ellington set both personal and special. Whichever collaborator Duke chose, be it Billy Strayhorn, Irving Mills, Johnny Hodges, Bob Russell or any of a score of others, his melodies remain timeless and top notch. And Nancy Harms seems to understand that the highest compliment to the maestro is to sing his magnificent material with sincerity and without pretense. As the lyric to "Prelude To A Kiss states, "Though it's just a simple melody with nothing fancy, nothing much, you could turn it to a symphony, a Schubert tune with a Gershwin touch". And it follows that Harms applies just the right touch to this "Dukal" bill of fare. And you've gotta appreciate that she doesn't just play it safe with Duke's "greatest hits". When, for example was the last time you heard Duke's "Long, Strong and Consecutive", "Strange Feeling" or "Reflections"? These are joined by celebrated classics like "Lush Life", "I Got It Bad", "I'm Beginning To See The Light" and lots more. The accompanying trio of Jeremy Siskind, piano; Danton Boller, bass; and Willie Jones III, drums, is sly, subtle and superb. Harms has a tiny edge to her voice that communicates the essence of the lyrics to these unforgettable melodies. Oh, and before I forget, there's a bed of perfectly placed strings on a few tunes. Duke Ellington lives on and Nancy Harms does him honor. Gazelle Records; 2016; appx. 52 min. When Jeremy Pelt issued his first couple of albums several years ago I jumped on the bandwagon thinking, "Here's the next trumpet sensation in jazz history." Then he burst my bubble by going with electronic effects to the extreme on one or two later CD's. Well thankfully, now he's back playing his brand of power jazz with a dream rhythm section of Danny Grissett, piano; Ron Carter, bass; and Billy Drummond, drums. Five of the eight selections are Pelt originals. I was particularly impressed with Pelt's muted, stately ballad approach and Grissett's inspired solo work on "Akua". Likewise on the faster tempo of "Desire" as well as the precision and virtuosity of "Baswald's Place". Pelt's standard on the session is Cole Porter's delicious melody "Dream Dancing". He finds a multitude of improvisational possibilities on the tune, one seemingly prettier than the last. In a similar vein, the quartet caresses Dave Grusin's "A Love Like Ours", a romantic and tender melody if ever there was one. I may have taken a temporary tumble from that Pelt bandwagon. But this versatile, often beautiful new release has me back on board. High Note; 2016; appx. 53 min.